Description of the finishes used by The Imix Club - Designer and Creator of fine hand crafted furniture. Made in solid wood, best of breed joinery architecture and fine finish. Creating Ming Style Chinese furniture, Modern Chinese furniture, Modern furniture to Art deco furniture. It may be one of the least known aspects of furniture, and of other objects too. It is material(s) and the work which aims to shape and define the expression of the base material to the outside world. In its most functional sense, finish acts as a protective shield for the material underneath, guarding it against damage from physical or other environmental elements like water or dirt. As the finish material itself has its own characteristics, when applied, it shapes the color, depth, sheen, and even touch of the base material, defining the overall character of the object. A refined finish effect for solid wood furniture should be lively, highly transparent, thin but thorough, and full of character. Unless for opaque effect, it should allow the wood grains to be clearly seen even in a dark color. It should be fresh and smooth to the touch. For the finest finish one may even be tempted to gently stroke and enjoy the silky smoothness with the hands. Purely handmade, it should exude a warmth absent in industrialised methods of finishing. The choice of a finish calls for deep understanding of both the finish and the base material. On top of aesthetics considerations, how do they respond to each other? Is the protection expected fulfilled? Is there any odour or harmful emission? Is there sufficient skill to perform? Is it long lasting? Does it age well and grow into a patina? Is there enough crafting time allowed? Is future restoration possible? It is therefore as much a technical consideration as an aesthetics consideration. Those who have knowledge on make-up know that no make-up can be pleasing unless the skin foundation is properly prepared. This is also true for furniture finishing. In fact the time and skill required to develop a sound foundation should surpass that for the final finish material at the top. When one appreciates a fine finish, most of the credit should go to the crafting effort in the foundation. Therefore, when viewing the list of finish materials below, one should never forget the unsung hero behind. The finish materials are also not used exclusively, these are quite likely used in different cycles of the finishing process for the best overall effect. And these are used for our solid wood clear finish furniture, other finishes such as spray paint piano finish are not covered here. Called urushi（うるし）in Japan and qi（漆）in China, it is a natural resin extracted from the sap of a tree called lacquer tree (genus rhus verniciflua) indigenous in south east Asia, found at altitudes between 3,000 to 7,500 feet. The sap is usually gathered when the trees are 10 to 15 years of age, and the trunk at least 10cm in diameter. From June to October, the collector makes parallel cuts in the trunk with a knife. Then the sap, a thick milky-white liquid oozing naturally out of the tree, is scraped off with a spatula and collected. 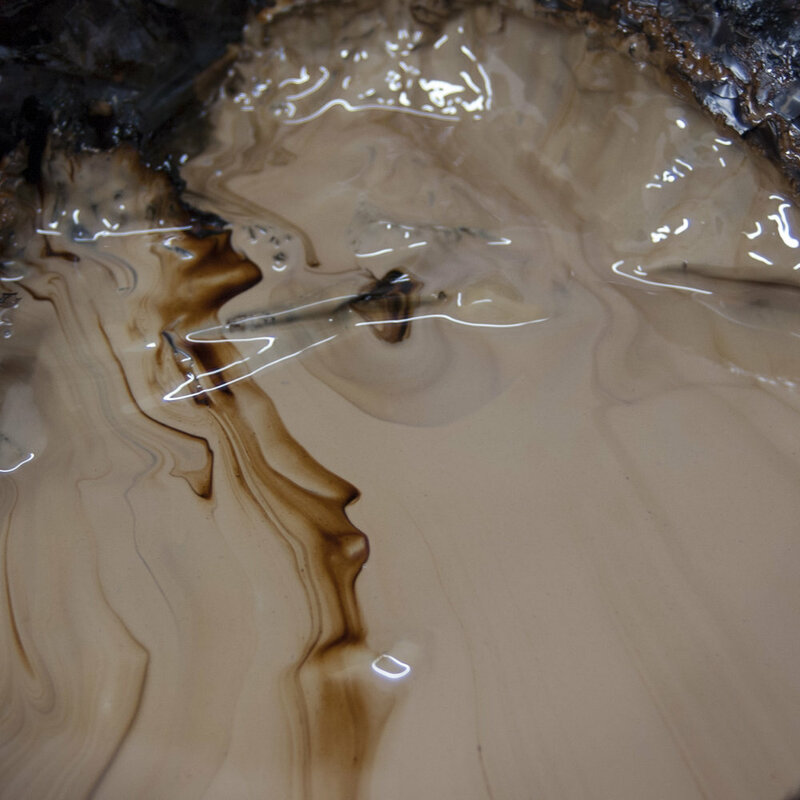 After the lacquer is extracted in a year, the tree is left to recover for five to seven years before the next extraction. The most a single tree can yield is 50 grams of lacquer, hence its preciousness. After filtering impurities and slowly reducing its water content, the lacquer is ready for use. In its liquid form, the lacquer is highly irritant, but once hardened most people won’t show any allergic reaction. Natural Lacquer is extremely durable, being able to stand for generations without cracking or chipping. It is very resistant to strong acids and alkalis. It also is water resistant, and heat resistant to 230 degrees Celsius. The only caution is a lacquered object shouldn't receive too much sunlight, because ultra violet light will decompose its molecules. One major difference of Natural Lacquer from most other types of traditional finish is that it is cured by non-reversible chemical polymerization reaction, not by the evaporation of a solvent. The curing process is also contrary to common knowledge, it cures in a humid and warm room, air-drying is difficult if not outright impossible in most climates. Being 100% natural, it also doesn’t release harmful odour to harm your health. 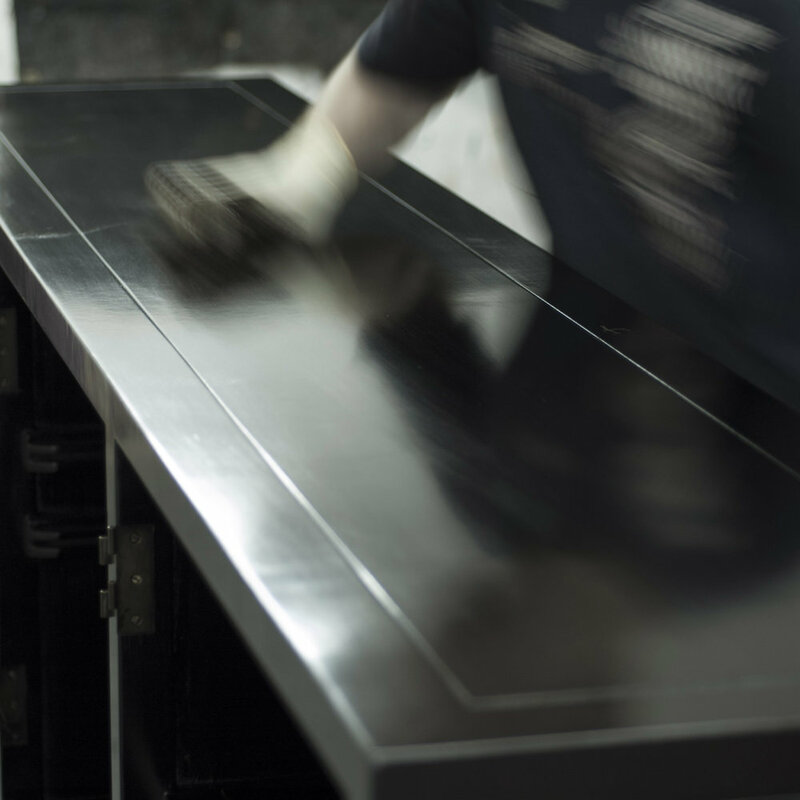 A Natural Lacquer finish is said to have a life because even after completion, its transparent finish will grow even more crystal clear over time, when more oxygen is absorbed into the finish from the air – which makes the finish even harder. This is different from most other finish, which turns yellow or cloudy when the finish ages. Japan is laudable with its effort to keep alive the noble tradition of the art of Natural Lacquer, much more so than China. However, most of what they do only apply to small household if not decorative objects. 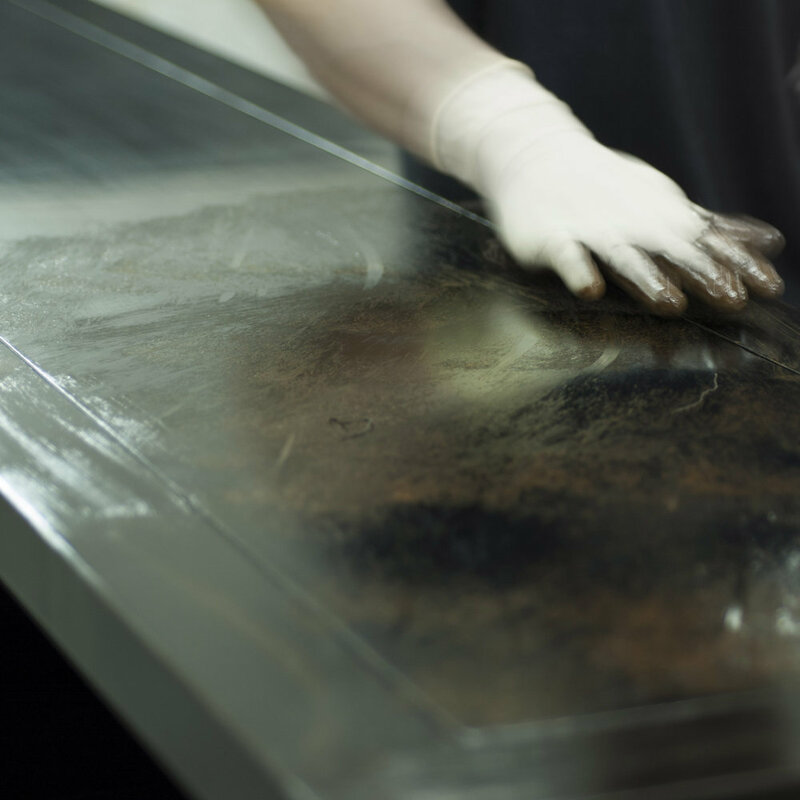 They also tend to use opaque and coloured lacquer rather than keeping the original transparency of the Natural Lacquer. The base material can be soft wood, bamboo, and even orange peel! In mastering Natural Lacquer on hard wood in a massive scale, we are probably quite unique in the whole world. 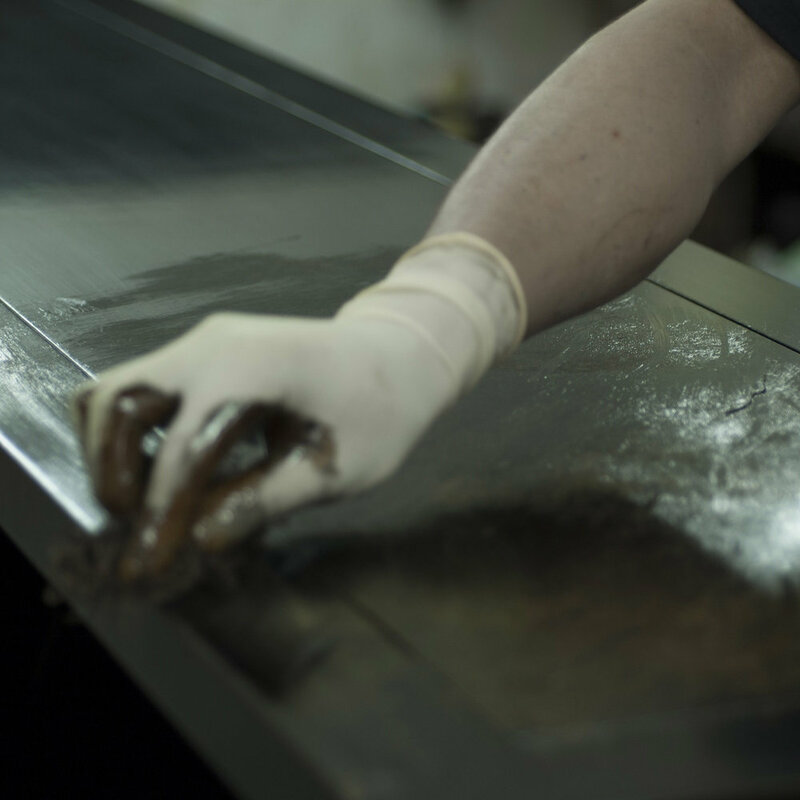 Please view below a series of photos showing how the Natural Lacquer progresses from its source all the way to a fine finish. It is a light yellow or orange colored animal resin, the secretion of the lac beetle found on trees in India and Thailand. It is dissolved in alcohol, and dries to form a clear and durable finish, though slightly yellowish. 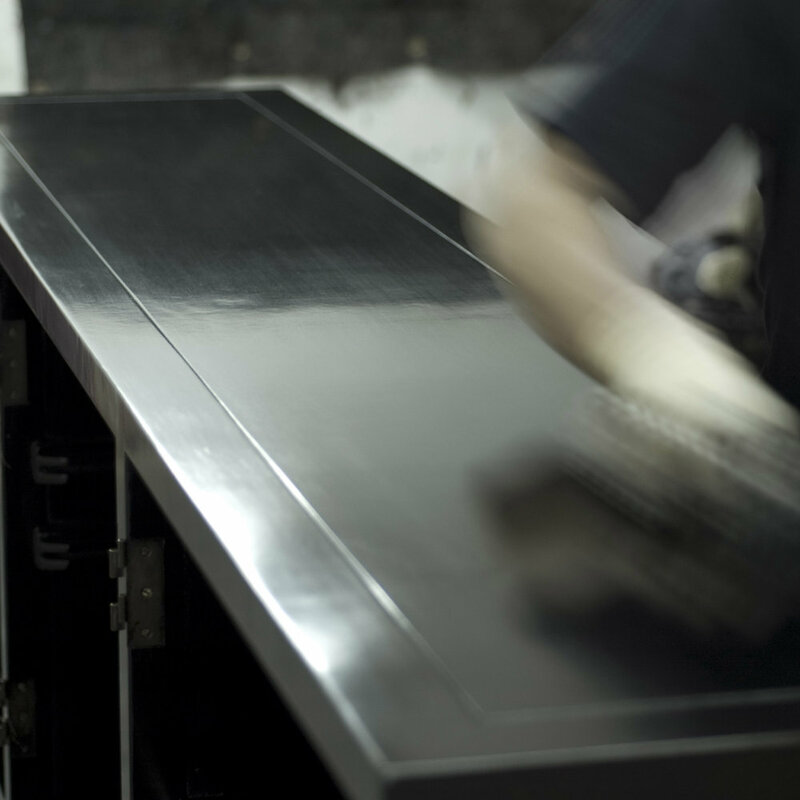 Its use is most well known in the French polish, where the surface is repeatedly buffed to yield a high gloss effect. It is a key finish material used to make fine furniture in the west over the past couple of centuries, with the process called Japanning because it is used to mimic the result of Natural Lacquer. Different from Natural Lacquer it dries by the evaporation of the solvent material. This property causes the finish to be reversible, in other words solvent can be lethal to a finished piece of furniture because its subsequent application can ruin the fine finish, but at the same time the finish can be repaired with relative ease. It is used either in its own right, or as a final protection to other finish materials. Depending on the application requirement, we may use pure beeswax, which is the natural wax secreted by young bees; or wax oil, which is a pre-combined mix of plant based oil and wax. On top of further shielding the wood from environmental humidity change, it also adds to the surface smoothness and lustre. Of all the three finish materials covered, wax / wax oil usually yields the most natural finish, that is enabling the original character of the timber to be displayed in its full. It is also the easiest to maintain over time. However, it won't achieve the elegant lustre of shellac, let alone Natural Lacquer.